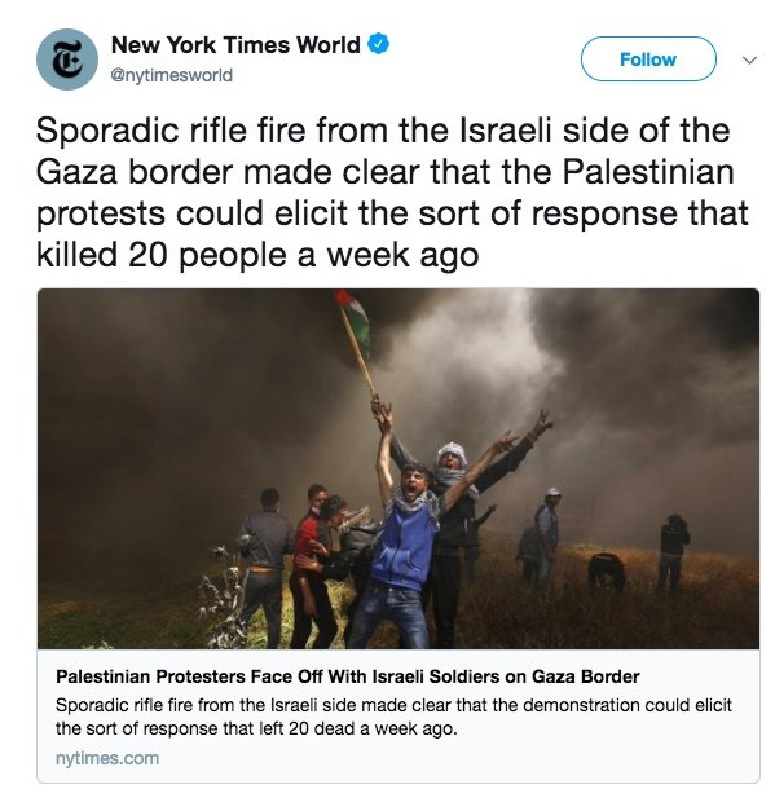 We need to thank Jack Engelhard for alerting us to the subject and giving the links we will be utilizing all in his well-written article “NY Times finds “journalists,” no terrorists among Hamas rioters.” The New York Times article we will be referring to is “Israel’s Violent Response to Nonviolent Protests” written by “The Editorial Board,” a nice way of removing the actual writer(s) and contributor(s) from credit or blame. We read the New York Times article in stages as our internal temperature and other biological feedback measurements rose in agitation requiring some time to simmer and calm. We recently read another article we must mention and recommend as a balm for the Times article. This was written by another author we trust and prefer, Giulio Meotti who wrote this excellent article “Imagine that you are that Israeli soldier” which poses the reality which faces every IDF soldier at every moment during any confrontation which includes even the life-threatening confrontations. What becomes difficult is attempting to find what kind of universe is required to corroborate the New York Times article with the one by Giulio Meotti. Obviously, these two articles were written by authors who do not reside in the same reality. Later, we will add a link to one last article which can be read as a bromide anchoring one back in reality. The Times makes an initial attempt to prove the innocence of Yasser Murtaja, a person the Times had used to provide them with unbiased news and pictures, by linking him as knowing and having worked for Ai Weiwei, the Chinese dissident and artist. Well, I delivered while in the service of my father who was a tailor, a suit and tuxedo to General McAuliffe, but that does not make me a renowned tactician of military strategy. It also says nothing about me personally other than I once met the General who commanded the troops which held Bastogne until General Patton relieved them with his forces after two days of heavy fighting. Then they throw in his being a father of a fifteen-month-old son to pluck the heartstrings which works with the Times average reader who is emotionally rooted in their leftist philosophies. We are told how many of the “protesters” are hanging back from the front of the peaceful demonstration and just hanging out having picnics and, who knows, maybe playing soccer in the afternoon and playing guitars and singing protest songs. Question, why are they hanging back away from the front if everything is a peaceful protest, is there perhaps some parts of the protest a little less peaceful and not quite non-violent when you move towards the front? This is never quite covered, only that there was one journalist killed along with eight other protesters and five more journalists injured covering the peaceful protests among a thousand others who were wounded. It is then very pointedly pointed out that, “There have been no known Israeli casualties.” This is so they can then use the almost thirty who have died amongst the Hamas protesters and the presumed thousands injured and demand that Israel is using disproportional force. Israel is using disproportional force is a popular meme where they are all but demanding that Israel must have an equal number of casualties as whomever Israel is fighting. Apparently, the New York Times has missed that the United States is probably the most flagrant violator of their proportional casualty measure as the United States has had an unbelievable and consistent disproportional application of force in every war before and since the Civil War where more Americans died than people from foreign nations. The United States just struck in Syria and there were more Syrian, Iranians and Russians reported dead than the United States lost as there were, and we wish to very pointedly point out that, no casualties at all. Imagine that, Israel and the United States are both guilty of disproportional force in recent engagements. Another item which Times reserved to add as an afterthought in the very last paragraph was that there were tires burned. Allow us to quote, “At times, some of the younger protesters have moved close to the border’s no-go zone, burning tires and throwing rocks at the fence. Israel has said some Gazans have tried to toss crude explosives, shoot weapons and breach the barrier.” So, there is an announced and understood “no-go zone” and there were “burning tires” plus those “throwing rocks” as well as those who “tried to toss crude explosives, shoot weapons and breach the barrier” which is the border fence which means breaching the barrier would constitute invading actual Israeli land and crossing the border with violent intent. Further, does tossing explosives, crude or sophisticated, they explode, or firing weapons sound like a peaceful protest? We did not think so either. Their some youths were burning tires amounted to ten-thousand tires being burned in order to mask attempts to cut through the border fence such that there could be a rush on the border. Hamas has claimed that the protests will not stop until the border has been erased and they reach Jerusalem. Hamas leader Yahya Sinwar has stated that they will, “Eat the livers of those besieging” Gaza and “We will tear Israelis’ hearts out.” Do not expect to ever hear this in the Times as for them, Hamas is simply the legitimate rulers of Gaza. They did not take over Gaza in a violent coup from the presumed legitimate governance of the Palestinian Authority. The requirement for employment at the Times, with few if any exceptions, is that you view Arab, especially Palestinian Arabs, good, and Israel the greatest evil to ever plague the Earth. The Times quotes Reporters Without Borders, Human Rights Watch, an interview by a friend of Yasser Murtaja with the New Yorker and that the United States protecting Israel by blocking a proposed United Nations Security Council statement condemning the Israeli response. The Times concludes that, “Journalists have a right to work, and people have a right to demonstrate peacefully. We would agree, except this is not what has been happening on the Gaza border and anyone who desires to believe that Hamas is not a terrorist group which desires to murder every Jew living on the planet, they can join Jeremy Corbin in claiming innocence of Hamas and perhaps include Hezballah as another rights group which Israel unfairly fights against without any actual reason. The Hamas rioting on the Gaza border is designed to climax with a mass crossing through any breach they are able of establishing in order to roam throughout as much of Israel as they are able murdering every Israeli they meet until they are killed or incapacitated after which we are sure the Times would demand that Israel account for every death and injured Arab who were peacefully and innocently celebrating over the corps of a dead Israeli. We promised another article to lower the blood pressure of all except Times readers, so here it is. The Hill had an article by Lawrence J. Haas, Opinion Contributor titled, “Hamas attacks Israel – and the world condemns Israel.” They include a series of great little quotes with many from Yahya Sinwar, the Hamas leader we quoted earlier. The Hill article covers the entirety of the forces sitting on Israeli borders and their desires to destroy Israel and how Israel has little choice but to fight for their lives. We wish to add another point which is also a truth about Israel. Israel is small, about the same size as New Jersey, and though we have relied on aid from the United States and favorable discounts on weapon systems from other friends including but not limited to Germany whose Dolphin submarines are an essential part of the Israeli Navy, Israel has from her first dawn when she was attacked by Six Arab armies and a semblance of different militias to the Gaza rioting today always relied on her own soldiers and only her own soldiers to fight her wars. There have been a few volunteers from other nations who have assisted her but these were volunteers and not duty service personnel. Only Israeli soldiers are our fighters and we have never requested any soldiers from other nations, not one American, British, French, Russian, Indian, Chinese, German, Polish, Czechoslovakian or other nationality has fought in any of the too numerous Israeli wars and never will there be a foreign soldier enlisted to fight an Israeli war. Israel spends hundreds of millions of Shekels on defensive weaponry to keep Israelis of every variety from Jew to Arab to Baha’I to Muslim and Christian and everyone else within the Israeli border, all benefit from the Iron Dome, Arrow Systems and David’s Sling. Israel has built shelters in every neighborhood and business region so all have a shelter when required. We have all heard and understand that should the Arabs put down their weapons and request peace there will be peace but if Israel put down her weapons and made a request for peace there would be a slaughter of the Israeli peoples. The world in many parts can be said to salivate at the idea of destroying Israel. The United Nations proves the depth of that desire with every vote taken concerning Israel. Despite these votes, Israel responds by providing, if permitted, aid after every natural disaster anywhere on the globe often arriving before the United States with an operative field hospital as was the astonishing case to CNN in Haiti (see video below). The reaction of the CNN reporter is absolutely telling of the shock when a reporter who has lived with the horror stories about Israel once they find out the truth. This was Haiti but it was true in Nepal, Tokyo, the Philippines and even after Katrina in New Orleans. This is Israel as well and is also true of agricultural aid and teaching in Africa plus their Help a Child’s Heart which assists all children with heart problems and not only teach doctors but set up complete departments to provide such life saving care in hospitals throughout the world. These are the stories you seldom hear about Israel but that is Israel. One last thing, next time you eat a cherry tomato, remember that it is a product of Israeli agricultural technology. Enjoy the video below. The New York Times (NYT) published without any cautionary notations an opinion piece written by Marwan Barghouti barely mentioning his incarceration of five counts of planning and making all preparations for five mass murder terrorist bombings and shootings during the Second Intifada. He was tried for five of the people who had been murdered in his attacks leading to five lifetime sentences. Barghouti is an idol of the extreme left who hold him as a freedom fighter against Israeli oppressions and as a revolutionary who would raise the Palestinian Arabs to new heights in the struggle for independence from Israel. Left out of their admiration is the small matter that Barghouti views all of Israel as rightfully Palestinian lands and has called for the extermination of the Jews of Israel giving their crimes against humanity as the principle reason. His support is similar to the admiration given Che Guevara, the murdering enforcer of the Cuban leader Fidel Castro. Che Guevara stated in an interview that he preferred murdering people over pursuing any other type of employment. We are willing to bet that Marwan Barghouti would make a similar statement about murdering Israelis. The problem is not that Barghouti was able to write and get this letter to the NYT for publication as it is their eagerness to publish without any notifications which might have given at least some consideration and pause of his accusations against Israel. Instead, the NYT simply noted his incarceration as if he were a political prisoner of conscience and not a murderer. 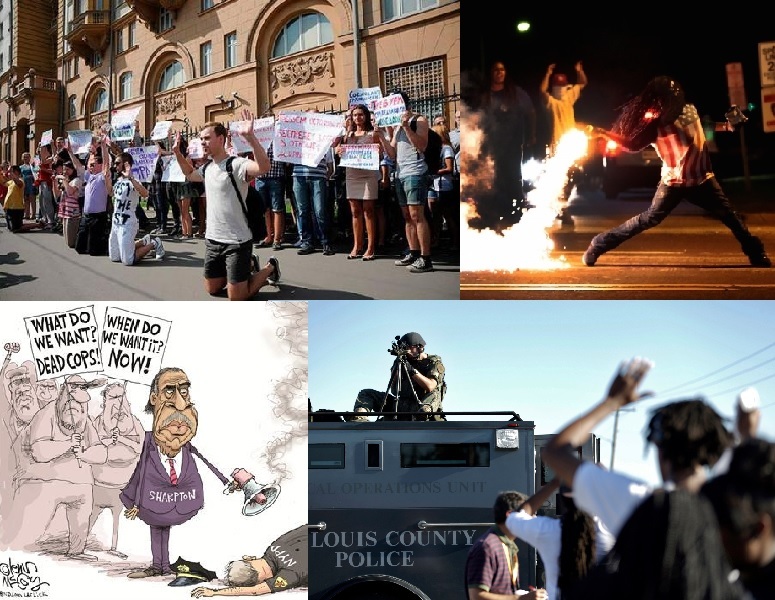 Their notations the next day after receiving strong protests was less than comforting and was a far cry from a more fitting response of placing a written notice from the editor in the next day’s paper and the next Sunday paper and pulling the article from their web pages. Marwan Barghouti made accusations, which were without merit and old canards reputed many times over. They were the same tired references of Israel. That Israel is a colonialist enterprise, which begs who the parent Jewish State might have been. That Israel is an Apartheid state which members of the South African government who suffered under the real Apartheid have called an insult to their suffering, as Israel is a free and equal society. That Israel has incarcerated him for solely political reasons so that he could not run in Palestinian Authority (PA) elections. The real reason he has not been able to run in PA elections is that since 2006 Abbas has cancelled all elections in order to remain in office. Abbas’s main fear is that almost anybody short of Benyamin Netanyahu, who is ineligible to run being an Israeli, running would win against him. Abbas fears Hamas winning the election, which would be a repeat of the 2006 elections. He also knows that not only would Marwan Barghouti defeat him but so would virtually every other candidate with a single possible exception of those who are not related to Abbas, such as Saeb Erekat, as he has remained loyal to Abbas to the end. 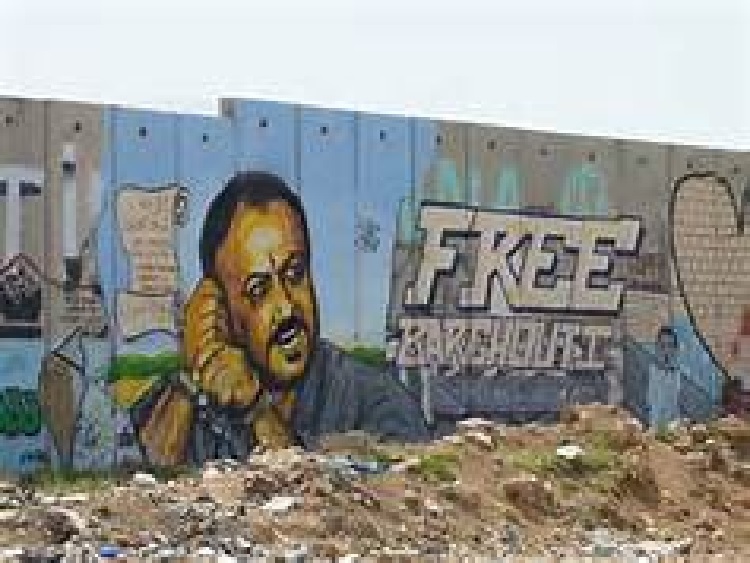 Further, there were no political charges and Barghouti was found guilty after refusing to defend himself claiming Israel has no legal right to try him for the murder of its citizens and that Israel has no right to exist therefore should not be allowed to place him on trial. Another point stressed by Barghouti was that the only means of protest available to prisoners is the hunger strike hoping that their refusal to eat will gain media attention and raise awareness to the inhospitable and cruel punishments and random imprisonment performed by the colonial military forces of Israel. He does not mention that he is apparently able of reaching the NYT and being placed instantly in the next Sunday edition for maximum readership as an honored writer. He has done so previously with a letter to other world papers and all of given him royal treatment though a fair number did actually mention that his trial was for multiple murders and he was tried in a civil court with full representation and rights. He has also been covered with sympathetic articles in Haaretz often claiming his popularity amongst the Palestinian public is a mitigating factor under which the Israeli government should consider pardoning the remainder of his sentence should he win in any PA elections. This would be tantamount to somebody claiming that the United States should commute the sentence of Richard Speck or Jeffery Dahmer should either win an election to public office. Newsbreak for anybody demanding Israel should pardon Barghouti of his sentence, he was sentenced to five life terms thus one life term being removed still leaves him incarcerated. If anyone believes that an arch-terrorist convicted of five counts of murder, and with more blood than those five counts on his hands, should be released, they should seek morality counseling to see why peoples’ mean so little to them. Israel is a democratic society with a legal system which protects the rights of the accused and which only prosecutes for crimes committed within the territories they are responsible for under International Law. Israel precludes prosecutions of any acts in Gaza short of acts of war, and even those Israel tolerates far more than any other nation on Earth. Israel leaves the majority of policing of the PA areas to their security forces with the exception of arresting terrorists suspected of having committed acts of terror within Israeli controlled areas. 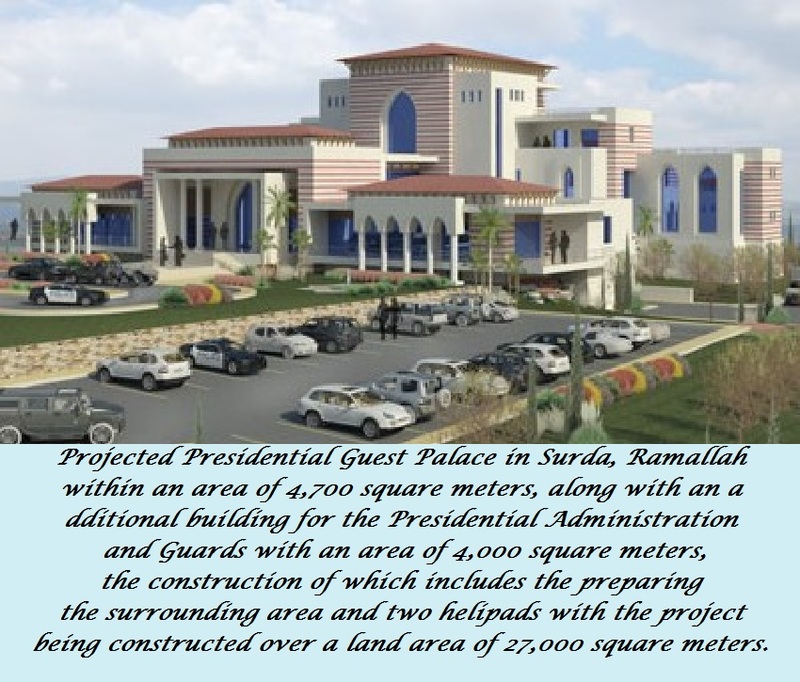 Even this would not be necessary had the PA lived up to promises signed for in the Oslo Accords where the PA was to cease incitement and work to prevent terrorism while arresting, trying and incarcerating terrorists. After witnessing the PA release terrorists within days of a guilty verdict, the Israelis had no other resort but to try these criminals in Israel when possible. At that point, the PA ceased even pretending to do anything about terrorism placing the entire onus on Israel. Addressing the hunger strikes, according to International Law, the holding authority is to have a physician warn the hunger striker twice of the dangers to their lives should they continue their hunger strike. Should the prisoner continue to refuse nourishment from that point they are to be left to their own desired end, in simple terms, to die as a result of their actions. This is not what Israel does and they go against International Law and force-feed the patient upon the recommendation from a physician that such is necessary to protect the prisoner’s life and health. Israel has been condemned by numerous Arab leaders for taking such actions claiming that forced feeding a prisoner preventing them causing permanent physical health problems or possible death is something they consider torture. They believe that if a Muslim chooses to die for Allah, preventing such action is a criminal act denying their religious convictions. This is the strongest sign we have seen of their loving death while we love life. Apparently, we are not allowed to love their lives either, let alone our own. One can only imagine the international uproar should an Arab Palestinian die in an Israeli prison from starvation. The recriminations and accusations that the Jews starved the prisoner ignoring the countless articles in numerous International newspapers and other news services counting the prisoner’s days of refusing food in their hunger strike, it would be Israel’s fault and there would be demands for the Prime Minister’s head at the United Nations. This is not why we do not allow their deaths but because every life, even those of our persecutors are precious and even they are creatures of Hashem and worthy of life. Marwan Barghouti will continue to receive the sympathies of the world as the picture child of Israeli cruelty. He is an intelligent individual who writes well and convincingly, that does not necessarily make him truthful. There is a parallel in the United States with the demands for the release Mumia Abu-Jamal protests despite his conviction of murdering a Philadelphia police officer execution style. Mumia shot the officer who was arresting his brother, and while the officer was kneeling injured, he walked up and shot him point-blank range in the head. There were witnesses who testified in his trial and there was little to no doubt of his guilt but he has become a folk hero of the same leftist who love Che and Barghouti. There is no telling who will attract the attentions, misplaced as they may be, of the youth, especially when lead by charismatic leftist leadership or their professors at university. There must always be a cause and when none is readily available, then one must be manufactured, and what could be better than wrongful imprisonment. On the other side, there will always be the enemies of the people or the cause or of the world itself. In the recent past in the United States, the police were being portrayed as the enemy to the underclass, especially false heroes. There were the cries of “Hands up, don’t shoot,” repeated even by President Obama despite autopsy evidence that this was a fraud and witnesses who at the scene refuted this story. After that at every police shooting there would be crowds forming screaming, “Hands up, don’t shoot,” no matter the situation. Then police started being ambushed and assassinated and even then, the attitude appeared to refuse to change.